Bring the snowflakes indoors with coffee filters and some washable markers! If you don’t have snow outside, why not make some inside? We love making paper snowflakes but sometimes you have to switch it up! We’ve been having fun making coffee filter crafts so I figured why not make some coffee filter snowflakes! The kids can have a lot of fun making different color snowflakes and shapes! Remember, every snowflake is different! First, flatten out your coffee filters on a washable surface. 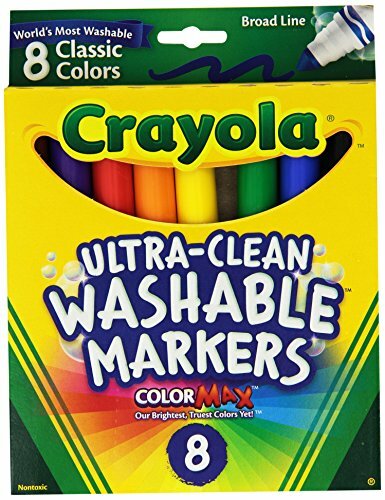 Let your children color a bunch of color filters using washable markers. The more they color each coffee filter, the better! Once you have colored the coffee filters, spread them out on some paper towels and let your child spray/mist the filters with water. Try not not have them get them completely soaking wet; the water will make the colors run together to get a tie-dye effect. I also stacked them on top of each other which let the colors bleed from one filter to the next! Let the filters dry completely before moving on. Once dry, fold like you would to make paper snowflakes. But make sure the coffee filter is completely dry or else you won’t be able to cut it! Cut shapes into your snowflakes for different patterns. What do you do with these now? Coffee filter snowflakes make great suncatchers or winter garland! Looking for more coffee filter crafts? Of course you are!